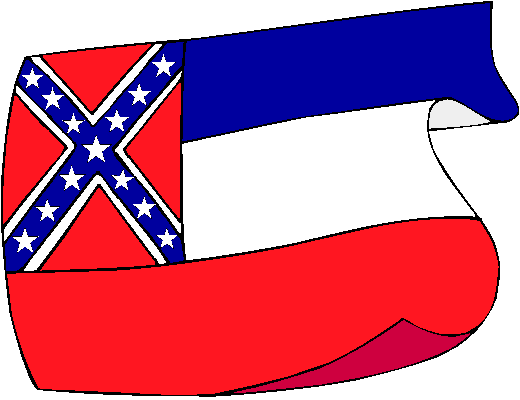 The flag of Mississippi contains red, white and blue horizontal stripes with the Confederate battle flag in the canton. The flag was adopted in 1894, in memory of the Confederate dead. A 2001 proposal to replace the Confederate battle flag with a blue canton containing 20 stars (representing the 13 original colonies, the 6 nations which have held sovereignty over Mississippi, and Mississippi itself) was defeated in a referendum.